and flowers to invigorate us. 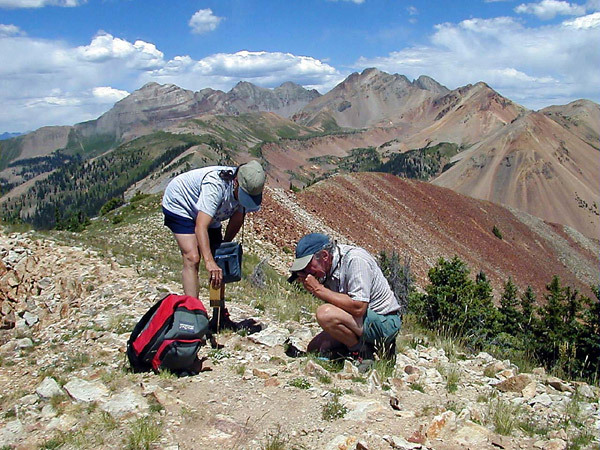 Betty and Al taking photographs on Helmet Peak in the La Plata Mountains east of Cortez. 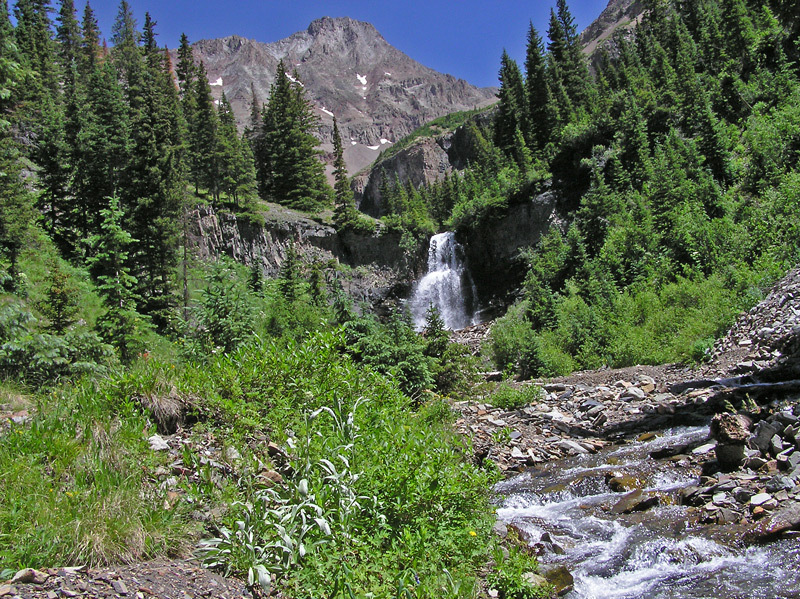 14,159 foot El Diente in the Lizard Head Wilderness. 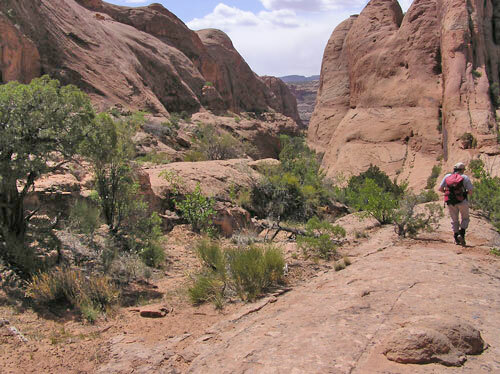 Behind the Rocks Wilderness Study Area, Utah. 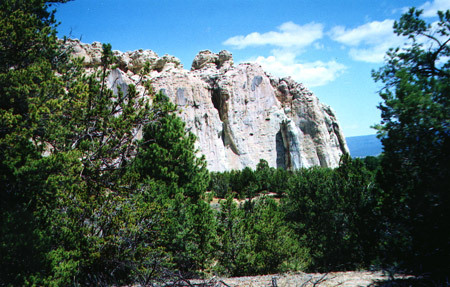 El Moro National Monument, New Mexico. 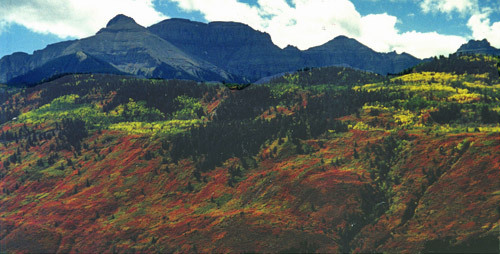 Fall Gambel's Oak tumbling red down the slopes below the Sneffels Wilderness. 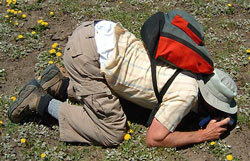 Al taking pictures of Spring Beauty on the Stoner Mesa Trail. 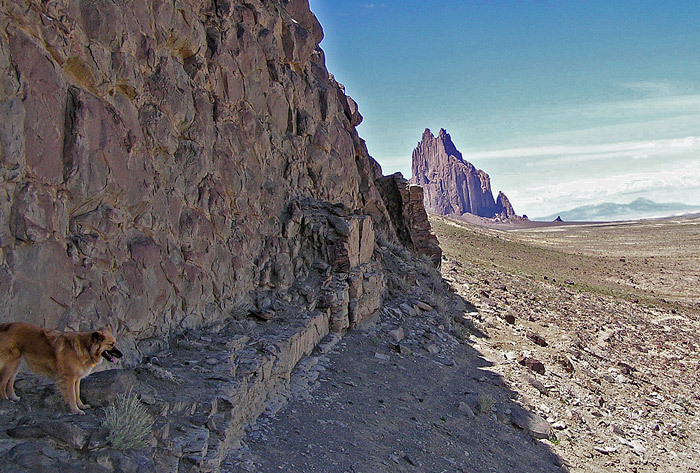 Willi on the a'a dike leading to 1,800 foot tall Shiprock.